This is a very nice reproduction that we have all needed for many years! 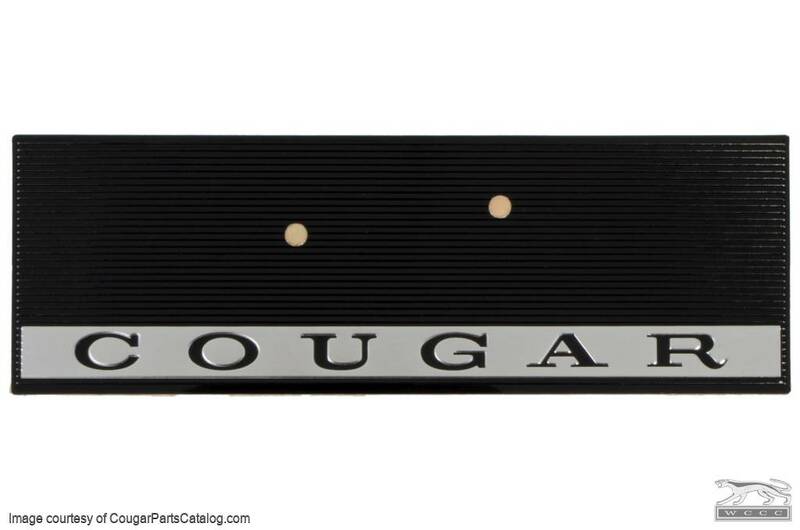 You might want to buy a new Cougar walking cat emblem if you replace this background decal as it requires breaking the studs off your old emblem to get it off. This emblem is definitely on the pricey side, however when you receive it you will notice the first rate quality with 3M backed adhesive. Also it's correct in every way. Great product and easy to install taking only minutes to complete the job. So what are you waiting for, fix that old tired & faded emblem. You will be glad you did, as I cant stop staring at mine. Thanks for another great product Don Rush and WCCC Staff. Highest quality reproduction - equal to or exceeds the original on the car. 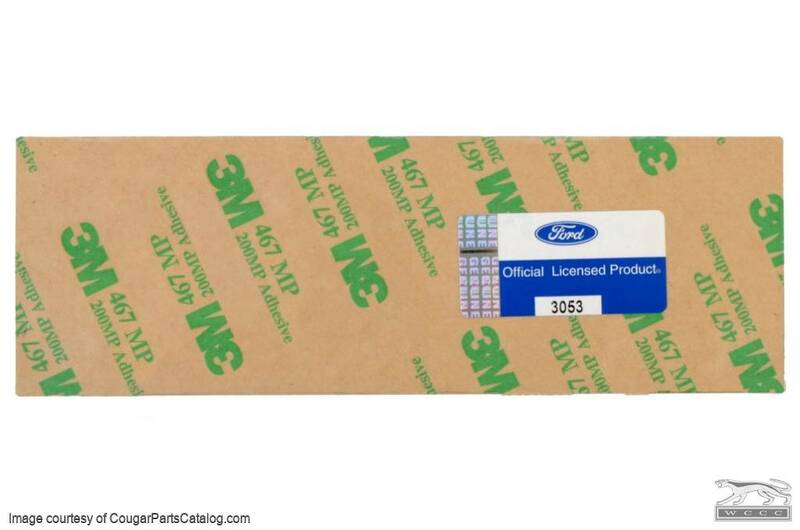 Extra care in manufacturing ensures a perfect fit with 3M self-adhesive backing. Top notch. 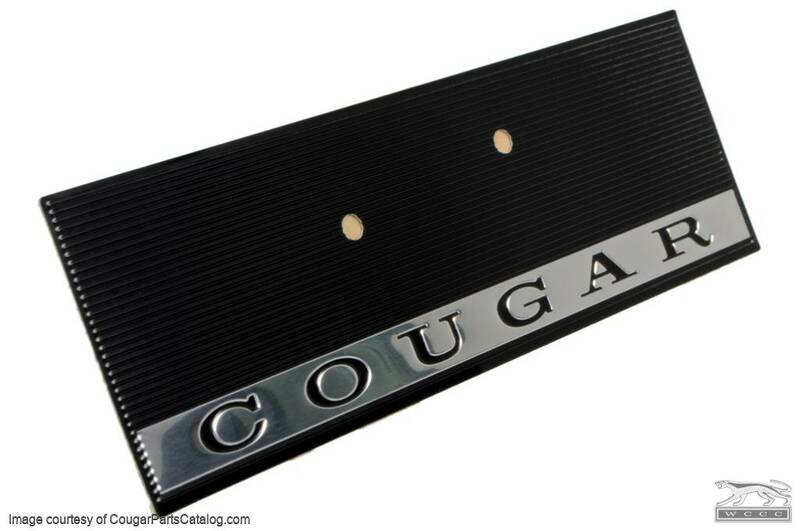 The video prepared me to "destroy" my headlight door by breaking off the plate and removing the cougar. I would never have tried it without that video. The end result is a much better looking door, which makes my grille a real eye-catcher. I removed my entire grille for a paint job, so accessing the back of the door was simple. I don't know how much more difficult it is while the grille is on the car, but it was probably a 45-minute to 1-hour job the way I did it. My only complaint is the cost of that decal! Pieces look great and once again, arrived in a timely fashion. I'll defiantly be ordering more in the near future. This really makes the cougar stick out. I had to drill out the cougar emblem, so I re-installed it with contact cement, which wasn't included.